Find your talent at Leeloo's Talent Agency! Leeloo has always loved movies...and now she's finally got the chance to open her own talent agency! Welcome each aspiring actor to Leeloo's office and prepare them for the big time! Provide scripts, apply make-up, film screen tests, sign contracts, and more in level after level of fast-paced fun. Then, use your keen eye for detail to get the set ready for a big day of shooting. Each level features an exciting time management round followed by a unique hidden object challenge. 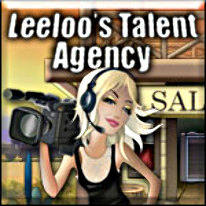 Find your talent at Leeloo's Talent Agency!